PugGaming - Gaming Never Done Alone » News » Gaming News » (Moderator: psychockey)Indie Royale Lightning round! 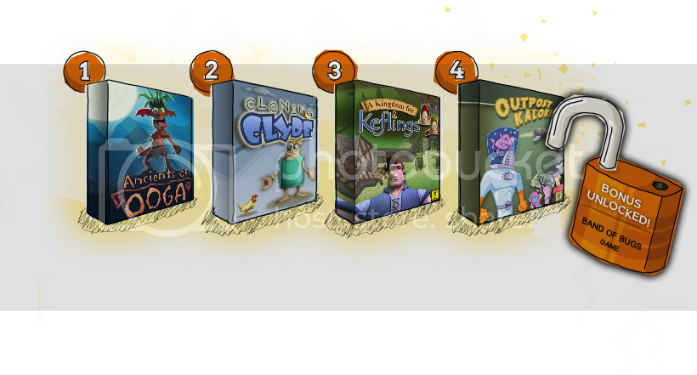 We have another bundle out (so many bundles, so little time...), this time it is a "lightning round" from Indie Royale. I know I didn't make a post for the last lightning round, so I will go over what a lightning round is exactly. A lightning round is a bundle that lasts a hundred hours and contains games from one or so developer or a certain theme. These bundles are not available for preorder!